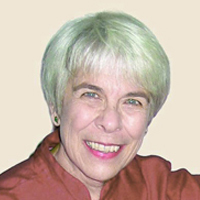 Kathleen McIntosh has performed widely throughout the western United States in festivals such as La Jolla, Bravo! Vail Valley, Los Angeles, and regularly in Santa Fe. She is a frequent guest of festivals in Havana, Lima, and Deia (Mallorca) and has been soloist with the Chamber Orchestra Kremlin in Moscow, Vietnam National Symphony in Hanoi, Solistas de La Habana, Santa Fe Friends in Tsuyama, and many American groups. Recent highlights included a return to the Esteban Salas Festival in Havana, the Lima Conservatory, and the Diecezjany Instytut Muzyki Koscielnej in Opole, Poland for concerts and teaching. She is a member of McFish and an enthusiastic proponent of contemporary music for her instrument.